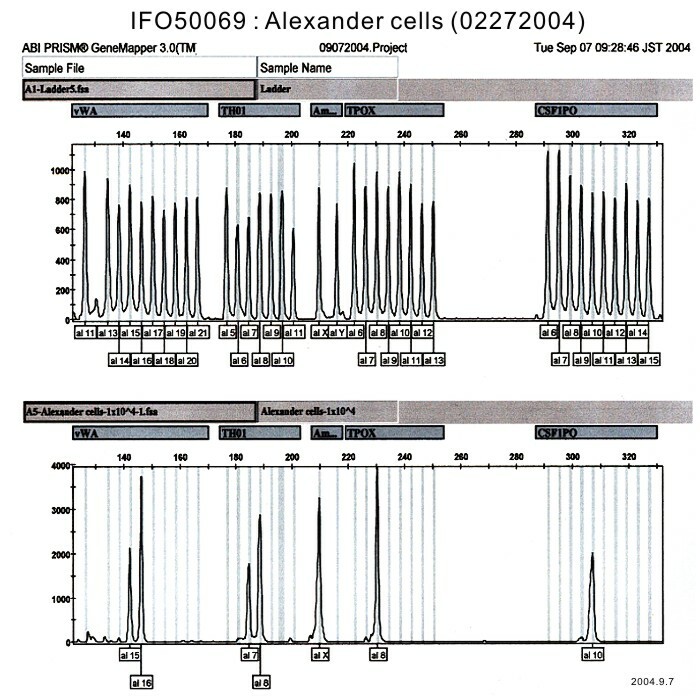 The Alexander cells: another name of PLC/PRF/5 cell line. 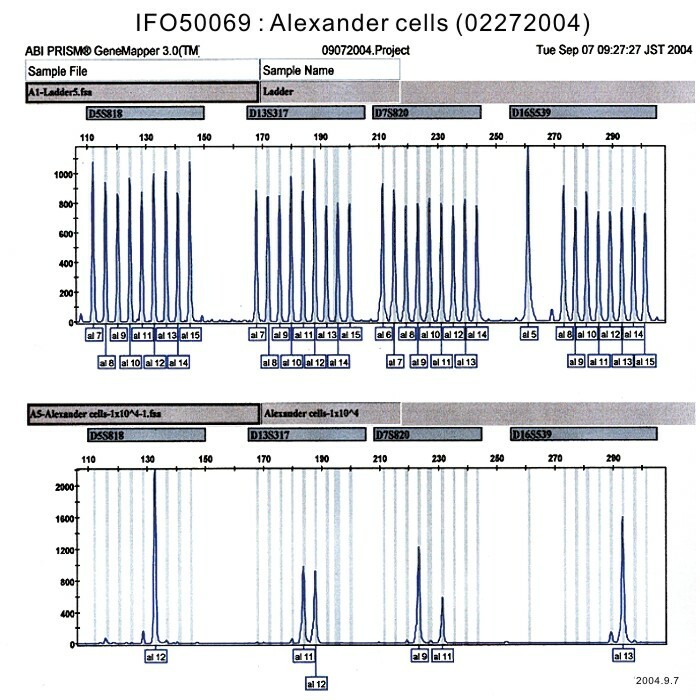 The Alexander cells (IFO50069) was established by Dr. Alexander, J. J. et al. in 1976 (S. Afr. Med. J. 50: 2124-2128 (1976)). This cell line was designated PLC/PRF/5 by them. 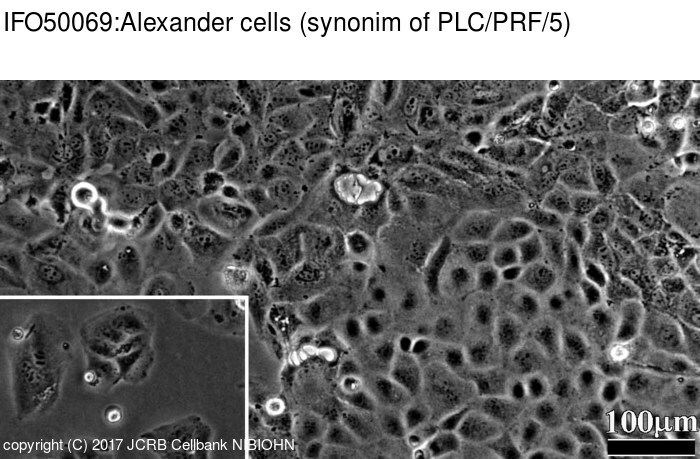 Therefore please note that "Alexander cells" is a synonim (other name) of PLC/PRF/5. Hepatitis B surface antigen produced by a human hepatoma cell line. Establishment of a continuously growing cell line from primary carcinoma of the liver. RPMI1640 medium with 10% fetal bovine serum (FBS; GIBCO Cat. # 10099).